Pam’s Pictorama Photo Post: This gem comes to me courtesy of my terrific husband, as a birthday gift. We were both very entertained by the photo – as well as the appearance of Felix and friends in it. Sadly, there is no identification – someone has written German film? on the back in pencil. Otherwise, just the reprint credit information from something called, Culver Services. 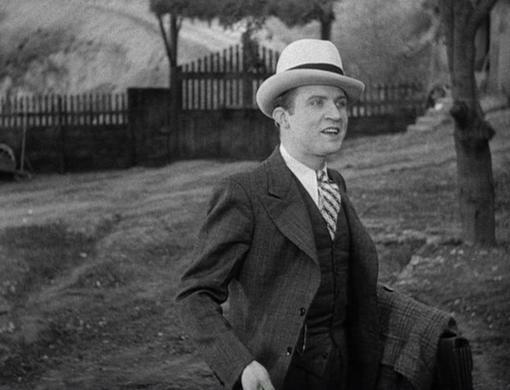 Kim suspects that the actor is Dwight Frye. This gave way to another iPad internet search in bed one night and a lively discussion of whether or not we could figure out what movie this might be from his bio. I have failed to tie this out – the woman is not familiar to either of us and I invited anyone who knows about it to speak up. We are curious! Here are a few photos of Dwight from what must be more or less the same time. As you can see, the photo is identified as being from Universal, which is rubbed over in red for some reason. Meanwhile, the babe, surrounded by rather excellent stuffed toys, is letting all hang out in would could be a pre-Code or very European way. Dwight looks unconcerned by her state of undress and urges her to look at these plans or whatever those sheets of paper are. The maid just wishes to get on with serving tea it would seem. Oh, but let’s talk about the toys! There is the glorious big Felix which is what caught my attention to begin with – oh, lucky woman! He’s a pip! Behind her head is a black cat pillow I would acquire instantly given half the chance. Then there are two of these somewhat mysterious stuffed dogs. 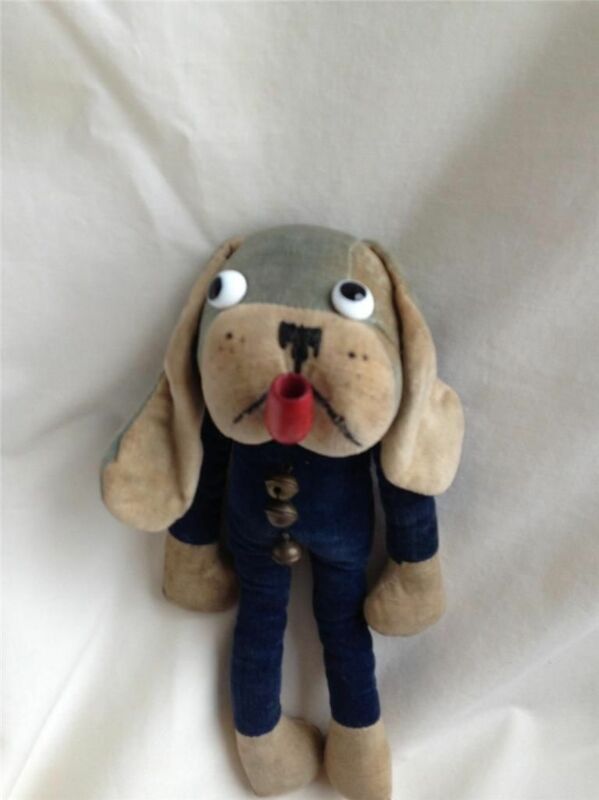 As far as I can tell they are made by Dean’s Rag Co. of Britain (for some of my posts of praise for these fine toy makers check out my post Pluto) and here is an example of a similar dog that was recently for sale on eBay – didn’t sell if you are interested! 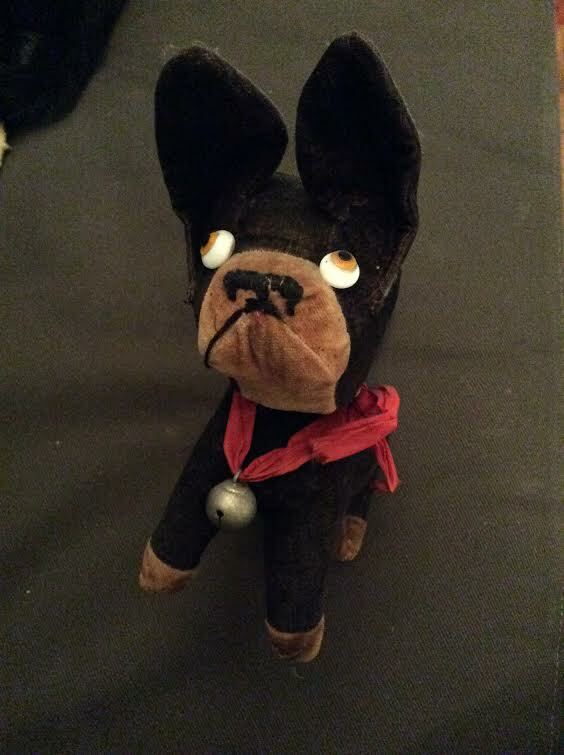 And then below, my own acquisition of a similar odd duck dog in Paris a few years ago. He does not have a maker mark however. I do not know if the one above does or not. Felix is also probably a Dean’s Rag or perhaps a Chad Valley version. I can’t help but wonder where they all came from and who had the excellent eye for set design. Too much to hope that they were part of the plot – if we cannot figure out what film it is I will probably never know for sure either way!